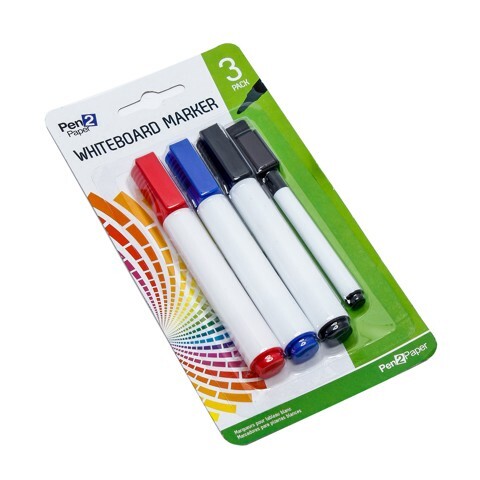 Whiteboard Markers Mixed 3Pk. 13 x 1.7cm l Mini Pen Is 11.5 x 0.9cm.. Black | Blue | Red Large Markers. Black Bonus Marker W/Magnet And Eraser. PP l Ink. 6-12G Packaging: Blister Card.